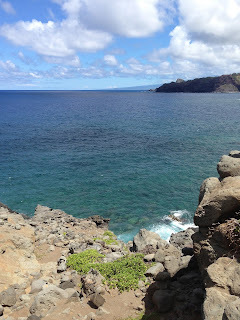 On our last day on the Island of Maui we decided to go off the beaten path and check out the top-side of the island. Check out the map below. 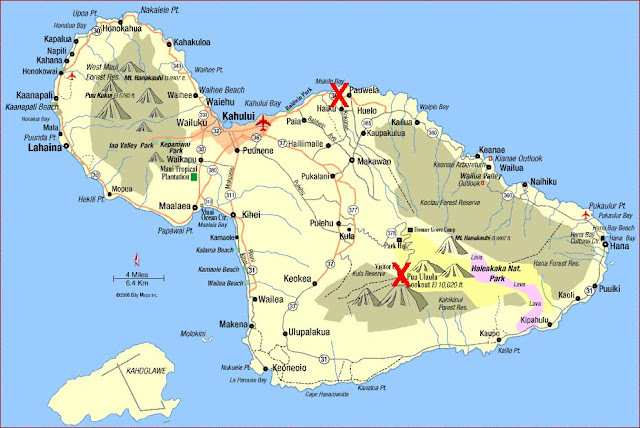 We drove from Maalaea (where our condo was) through Lahaina, Kaanapali, Kahana, Kapalua, Honokahua (and then along a 19 mile single road - if you can even call it a road) to Wailuku and back to Maalaea. What an incredible experience this was. If you like adventure and a bit of crazy mountainous driving, this is something you should do. Actually, I recommend it to anyone who is a confident driver. Remember however, that your rental car company will not cover anything that happens to you on the stretch of road from Honokahua until Wailuku, and there are no call boxes and very few places to pull over. So....do this AMAZING drive at your own risk. We had already spent some time in Lahaina, Kaanapali and Napili, so did not stop this time along the route. If you have not, you should do those on another day. This drive alone needs some time. It took us about 45 minutes to get from Maalaea to Honokahua, at which point things slowed down considerably. Our first stop was an incredible Blow Hole at around mile 18. It is not well marked, so keep an eye out for the tiny sign that says blow hole. Once you park you have to walk down to the blow hole which is right down the cliffs by the ocean. It is a difficult walk down (slippery), but much easier walking back up, so do take the time to do it. You will not regret it. Here is a video of the blow hole in action. 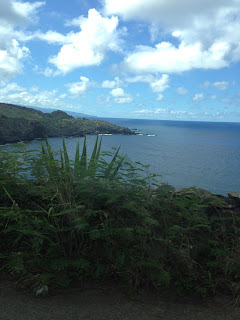 Here are some photos of what you will see as you walk down to the blow hole. Click on the images to get a larger view for more detail. After the blow hole we continued along the road which became higher and higher, the views were more and more stunning and the road itself. Well, using the word road would be a little generous. Let's just say it was no more than one car wide, with a cliff on the one side and a huge rock wall on the otherside. There was barely enough room for one car to drive, let along for another car to come towards you and pass. So we had to be incredibly careful. We drove very, very slowly and luckily were behind another car for a while, so when we met drivers coming our way, they had to back up (sometimes as much as 500 feet) to find a spot where they could pull out, just barely, and allow us inches of room to pass by. It was crazy! My photo's simply don't do it justice. The road was like riding a guantlet, but wow the views were spectacular and the little villages just as cute as can be. Lots of cool little shacks selling fresh fruit and banana bread. 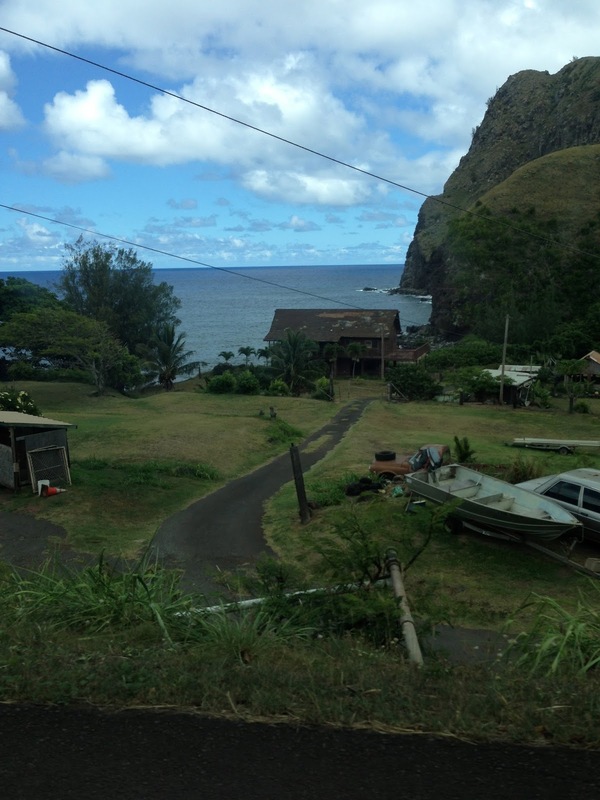 Very, very remote, I could never live here, but it was super fun to drive through. Here are some more photographs. 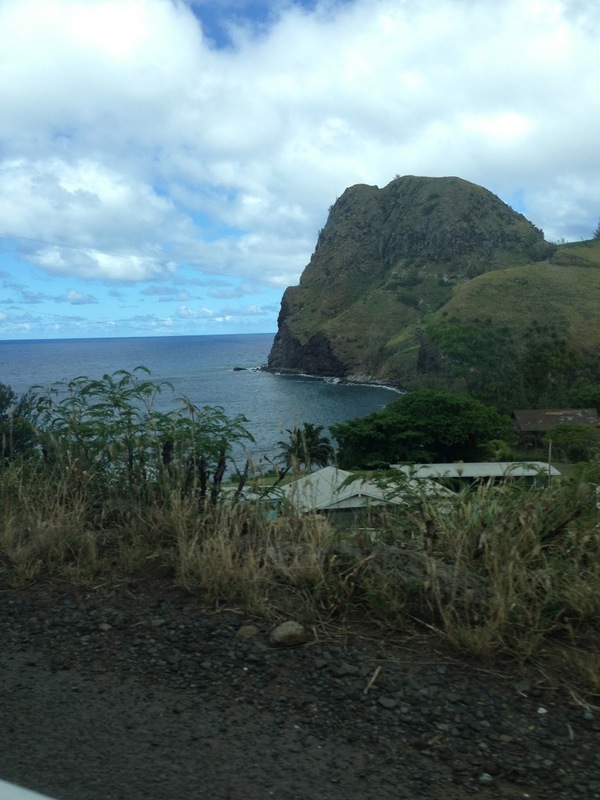 The amazing drive around the top of the island took over an hour, but it was worth it. We made it in one piece, the Ford Mustang Convertible was still intact and none of us had vomitted. 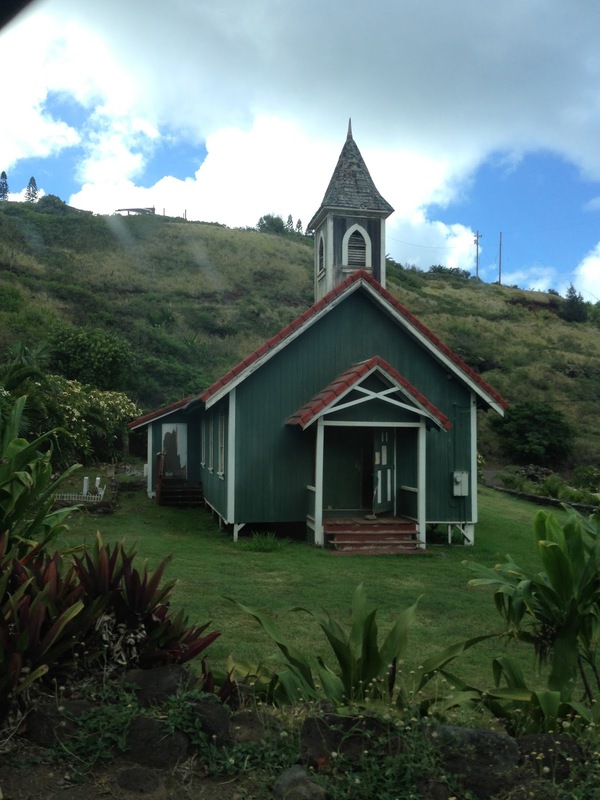 I have to tell you, this drive makes the road to Hana look like baby steps! So, next time you are on the Island of Maui, take a chance and check this place out. 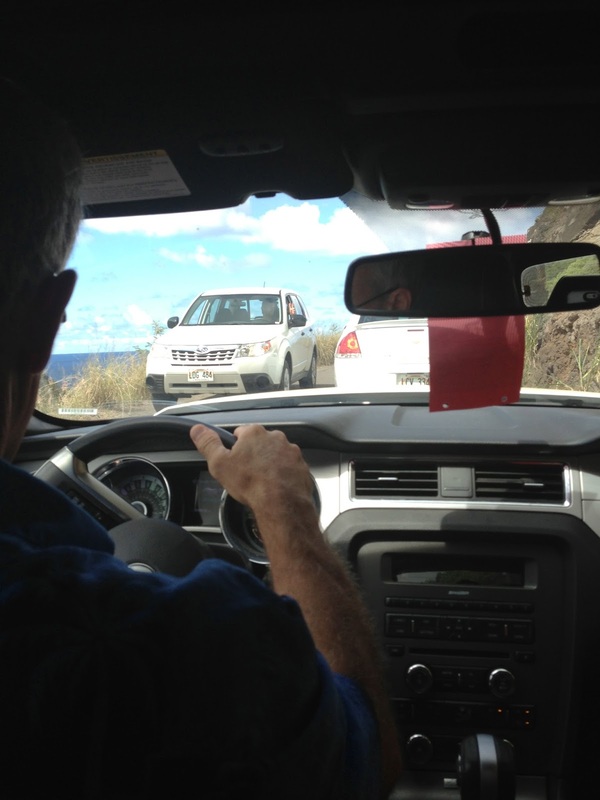 Even if you are too scared to do the drive, going to the blow hole is not difficult and you simply have to see that. 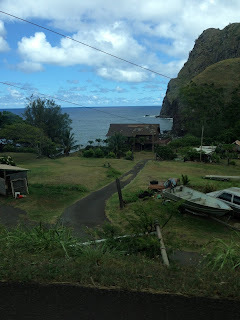 Then you can turn around and go back to Napili for a nice bite to eat at the Sea House Restaurant, which I wrote about in this post here. Another Ambulance Ride. You must be kidding me! Hello God... Are you out there? Wanna Tweet, Instagram and hang out on Facebook? Working Hard to Please "You" my Amazing fans. Why aren't you living the life you want to?